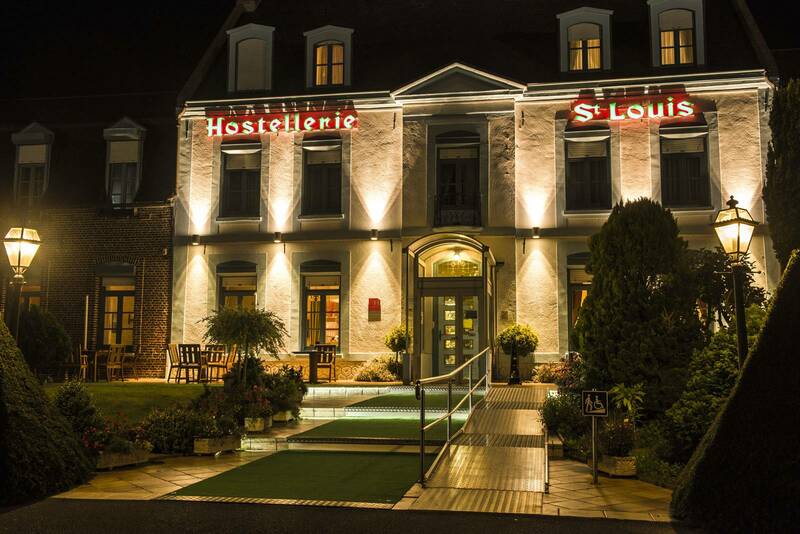 Located in the heart of Flanders, between St-Omer and Dunkirk, classified 3 stars, "Hostellerie Saint Louis" combines the pleasure of the table and the happiness of a quiet night. The gastronomic delights prepared by the Chef and his brigade will make your palate wriggle. Fresh and local products are showcased among a wide choice à la carte. The restaurant is open in the evening from Monday to Saturday from 19h to 21h and Sunday noon from 12h to 14h. Maître Restaurateur, Craftsman gold medal, hotel Logis of the North (3 cocottes).